That widget to the right is a listing of the legislation pending before the Utah Legislature that looks, with a week left in the session, like it might pass. By clicking on the links, you will get taken to the Utah State Legislature web page, where you can get a copy of the bill, in its latest version. There’s also additional information on that page as to what the status of the legislation is, and when (and if) additional public hearings will be held. 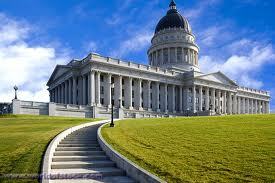 When it’s all done, we’ll let you know what it all means, with some Utahcondolaw seminars. ← With Spring, Thoughts Turn to Home Sales?